Bolderstone is our latest dry stack retaining wall systems, which boasts a large format split face. 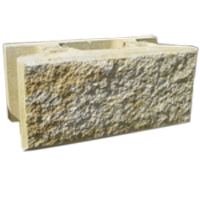 The Bolderstone system is ideal for medium to large walls where a bigger block is required. Bolderstone can be purchased with either a split-face finish or a bolstered-face finish in a range of stone-like colours.